This compact portable pump is perfect for around the home. When you need reliable and strong water pressure, this lightweight pump will get the job done. 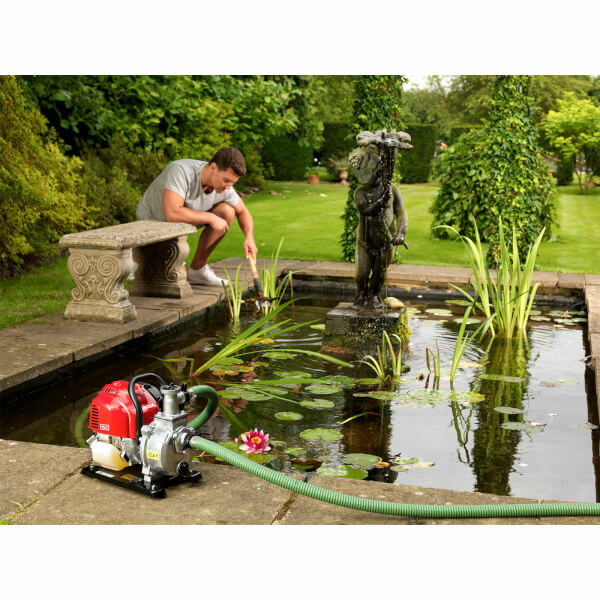 Ideal for homeowners, gardeners and boat owners, this pump is able to push out a good volume and distance when you need it. When you're finished, they're easily stored away ready for their next use. So what makes our lightweight pumps so effective? The answer is the craftmanship of the hose seals and O-rings which ensure air can't be drawn in, which with other water pumps would cause the essential vacuum to be lost. 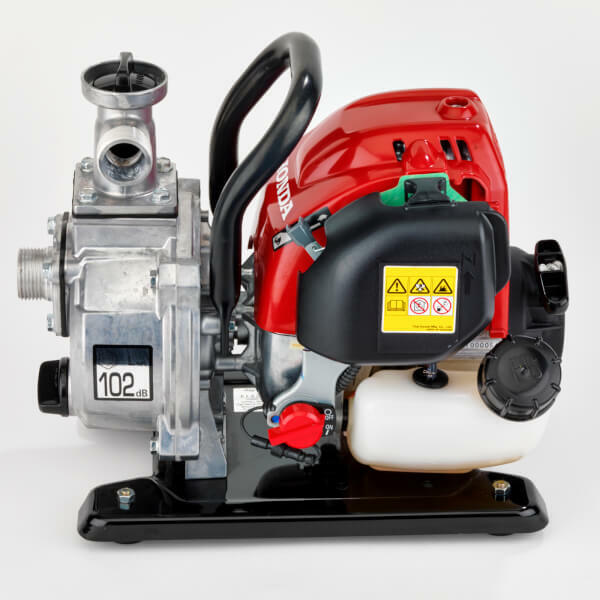 This subsequently results in an impressive flow rate and petrol which the pump can keep up for up to 1h30 before you need to add more petrol. The 'total head', or the maximum height the pump can force water from suncion head to discharge head, is an impressive 40m (which is around the length of four parked buses parked end to end). 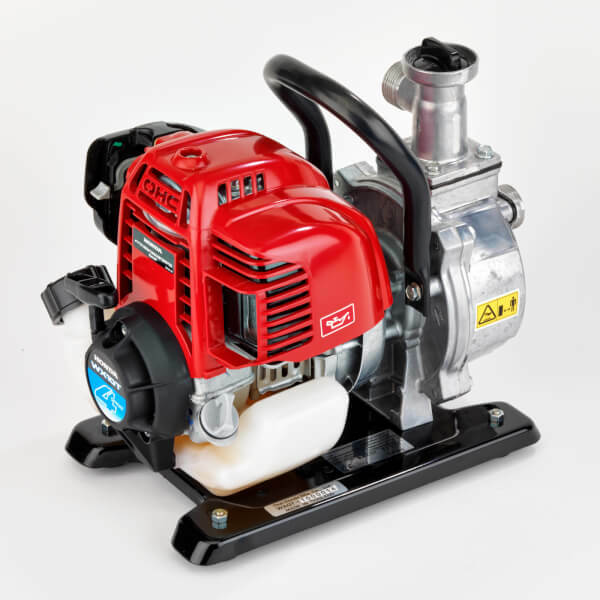 OHV-4 Stroke Engine: Powerful and efficient with trusted reliability. Easy starting in all conditions with automatic decompression to reduce the pull force required. 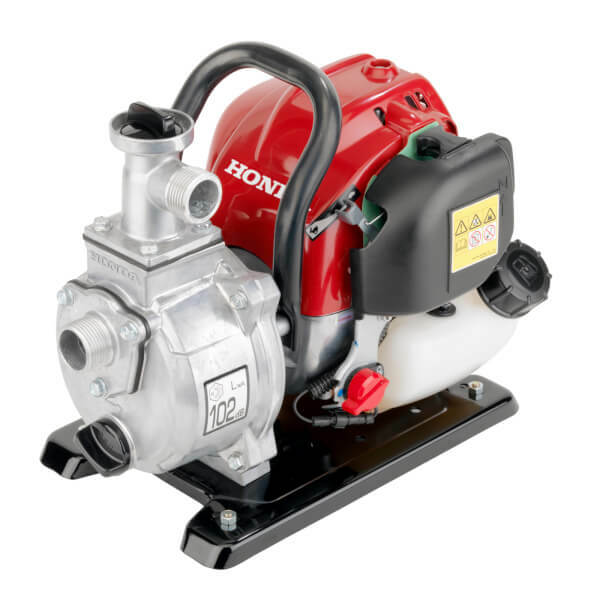 Lightweight and Portable: Your Honda Water pump is super-compact and lightweight. And with its integral carry handle you can transport and store it with ease. Unique 360° Operation: You’ve got real flexibility for all kinds of work situations. 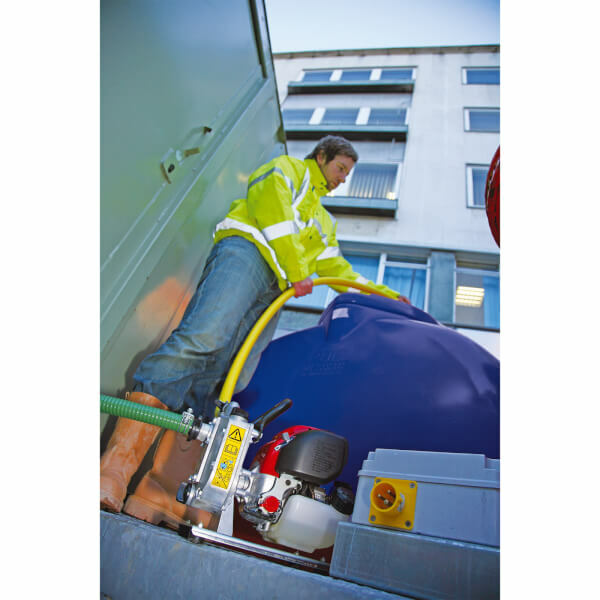 360° operation allows the pump to operate or be stored at any incline without damage.